Hardcover, 9.5 x 12 in. / 256 pgs / 220 color / 270 bw. 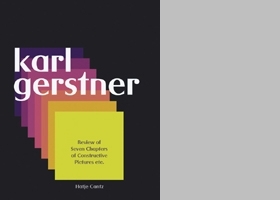 Karl Gerstner: Review Of Seven Chapters Of Constructive Pictures, Etc. 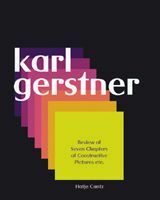 As a visual designer, Karl Gerstner led the double life of a graphic designer who worked on commission and an artist who worked according to his own directives. In the realm of the constructive, Gerstner's work is quite unique. He never composed pictures in the usual sense but rather made them as algorithms, i.e. through operations that generated endless possibilities. In each chapter of Review of Seven Chapters of Constructive Pictures, etc., Gerstner describes how he “found” a selection of individual pictures. The selected works span 50 years, from his early “serial pictures” of the 50s through participation objects which include the viewer as a co-designer, the “color forms” created on the basis of a color-and-form model developed by Gerstner, and his most recent production, in which he transfers the basic principles of fractal geometry to pictures. 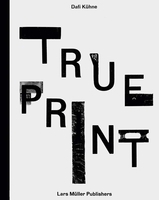 FORMAT: Hardcover, 9.5 x 12 in. / 256 pgs / 220 color / 270 b&w.